Background: Brooks may be the most complicated player on the list, at least in the eyes of some Saints fans. While he should be remembered for the laser strikes from his strong arm, his ability to extend plays and run for first downs, Brooks is remembered by some for seeming aloof at times, smiling when things were not going well or throwing a pass backwards. While he was not as consistent as others (Drew Brees, Archie Manning, Bobby Hebert), he was brilliant at times. Brooks ranks third all-time in passing yards and second all-time in touchdown passes in New Orleans Saints history. When Jeff Blake was injured in 2000, Brooks came on and electrified observers with his play-making ability. He led the Saints to an NFC South championship and the first-ever playoff victory in franchise history. He had his best season in 2003 with 24 touchdown passes and just eight interceptions and ran for two touchdowns. In 2002, he was second in the NFL with 27 touchdown passes. He was fifth in that category in 2001 with 26 touchdown passes. From 2001-2004, Brooks threw 26, 27, 24 and 21 passes. He rushed for 13 touchdowns with the Saints. Along with Manning, he was the best running quarterback in franchise history. 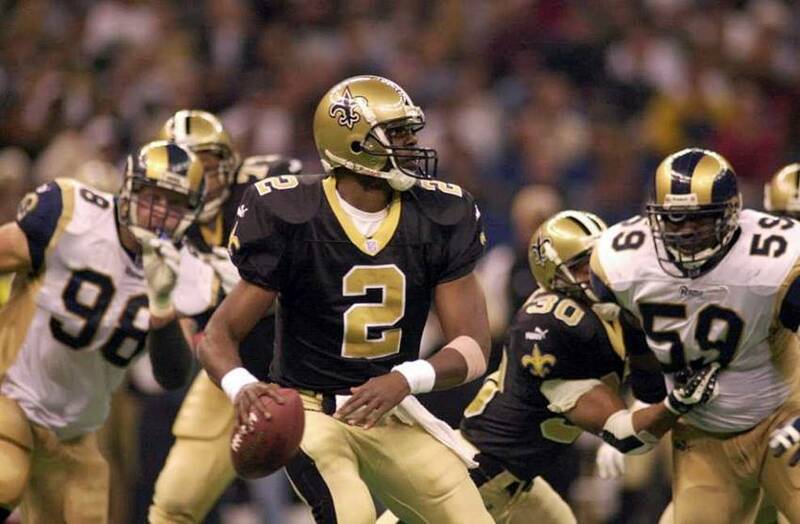 Greatest Moment: Brooks quarterbacked the Saints to only their second division championship ever and to the first playoff victory in franchise history. Facing “The Greatest Show on Turf” in the defending Super Bowl champion St. Louis Rams in the first round of the playoffs on Dec. 30, 2000, Brooks was tremendous, throwing four touchdown passes while passing for 266 yards while rushing for 26 yards. The Saints built a 31-7 lead before holding on to win 31-28 for the first playoff win in team history. Most remarkable was that the Saints did it without top running back Ricky Williams and top receiver Joe Horn, who were injured. Brooks carried the offense. He became the first quarterback in NFL history to eliminate the defending Super Bowl champions in his first playoff start. 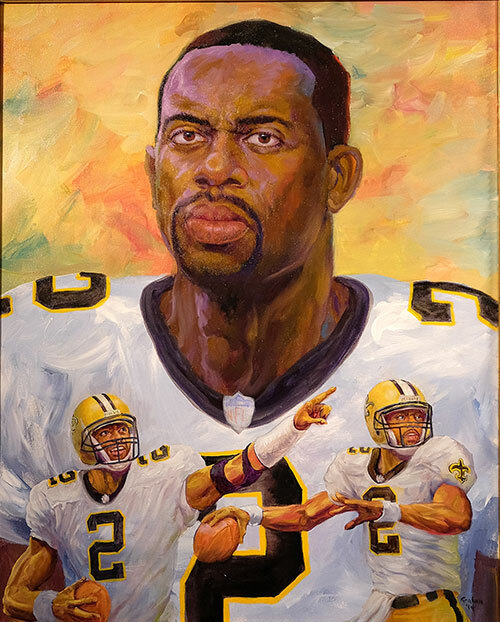 Honors: Brooks was inducted into the Saints Hall of Fame in 2014.